A bedroom, perhaps the most private place, deserves its rightful amount of attention when it comes to embellishment. 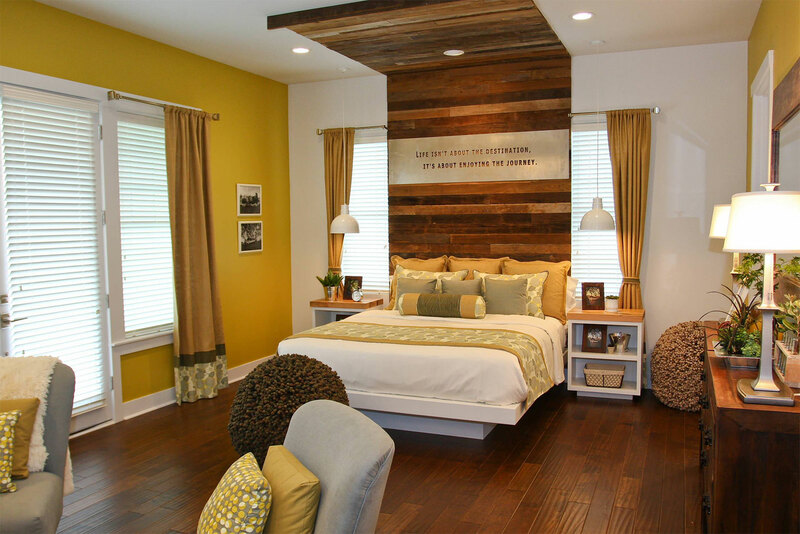 Every household derives a great sense of accomplishment after designing a perfectly attractive bedroom. Proper color combination, suitable furniture’s and fancy drapes, all adds up to the beauty of bedroom. The job of making one’s bedroom attractive as well as comfortable could be quite daunting owing to the variety of ideas available for designing of a bedroom. 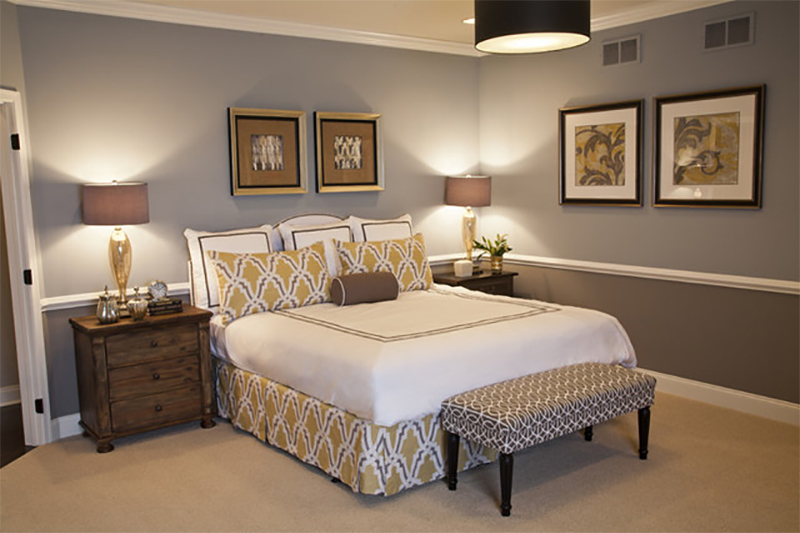 Master bedroom (Combination of Grey and Yellow): Bed is placed on the center of spacious bedroom. 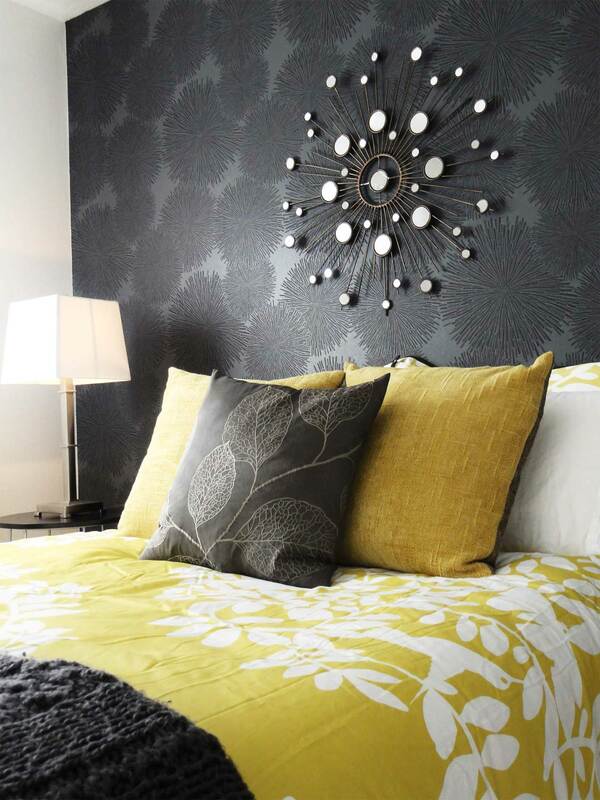 Yellow pillows compliment the Grey background of bedroom walls. Yellow carpet, against the backdrop of luminous grey floor, looks vibrant and classy. The grey curtains go nicely with the design of this master bedroom. The furniture that further embellishes the beauty of the master bedroom, are of a bright shade of grey. One look at the bedroom fills us with warmth and ardor. Contemporary Bedroom (Combination of Grey and Yellow): Bed, with Yellow sheets and Air hush pillows, is placed in the center of the room. The decorative grey wall adds to the grandeur of an otherwise subtle space. Yellow seats along with decorative carpet shall compliment the pulchritude of this bedroom. 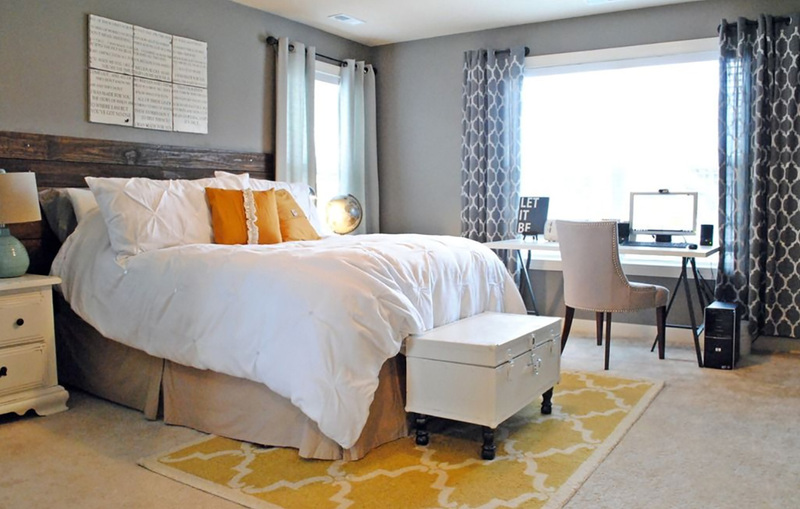 Classy yet comfy, this modern bedroom style would be an elegant choice. Canopies for window can be used for further embellishment. Columbia Bedroom (Combination of Grey and Yellow): Bed, along with the tables made up of wooden is placed in the center of the room, adjacent to one another. The darkened tables against the subtle backdrop of Grey give a pastoral touch to this Colombian style bedroom.The combination of comfort and austerity is accentuated. Smartly used accessories for room can enhance the decorative mood the room provides. Indeed a smart choice, for the admirers of simplicity. Pastoral Retreat (combination of White and yellow): The centrally positioned bed, accentuated by wooden canopy gives an unrefined touch to this master bedroom. Wood being the driving force in this decorative process, this kind of bedrooms are often most expensive to make and maintain. Walls, a pleasant combination of white and yellow, harbor the emotion of tranquility and subtlety.